Casa De Ruido is proud to present their two very energetic lineups at this year’s SXSW music festival. 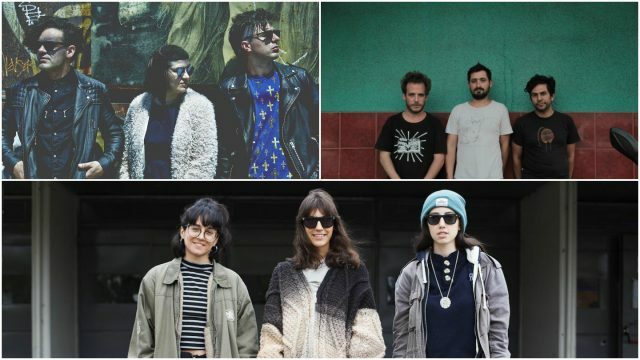 Casa De Ruido will have a day show featuring 20 year old music composer Wet Baes, Forecast in Rome with their fusion of electronic and R&B sounds, and trio Altocamet with their unique blend of pop, rock, and electronic music. The fun doesn’t just stop there. At night, their showcase includes returning SXSW alumni featuring Los Amigos Invisibles with their fusion of fiery funk and lounge music and Silverio with his upbeat electronic sounds. Other notable acts included in the lineup include all-female rock band Ruido Rosa, Japanese Orchestra Tokyo Ska Paradise, and post-punk girl group Las Kellies. Santiago-based band Protistas will be closing the showcase with their take on rock music. Check out both Casa De Ruido showcases on Wednesday, March 15 at Half Step. If you’re interested but have not registered, register for primary access to this and many more premier nighttime music showcases, and industry-focused sessions. This year, the Music badge also gives you access to most Film Festival screenings and Interactive Conference sessions.